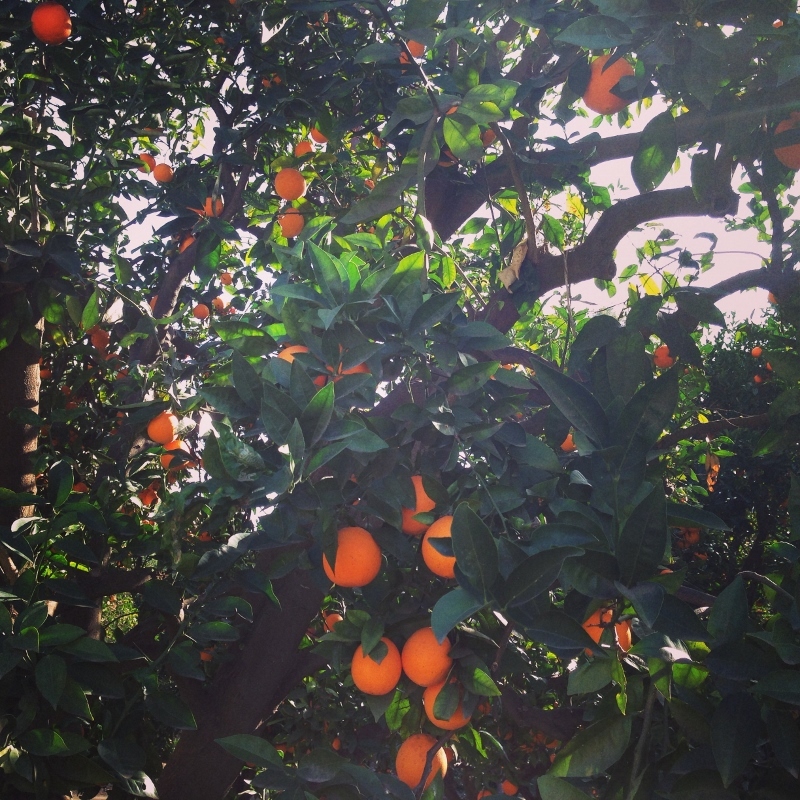 This past week my friend Alma, of the blog Field Trip Mom, posted that Saturday January 4 marked the beginning of orange picking in La Verne. I was so glad for the reminder because I had been meaning to participate for some time and I just happened to have Saturday free. 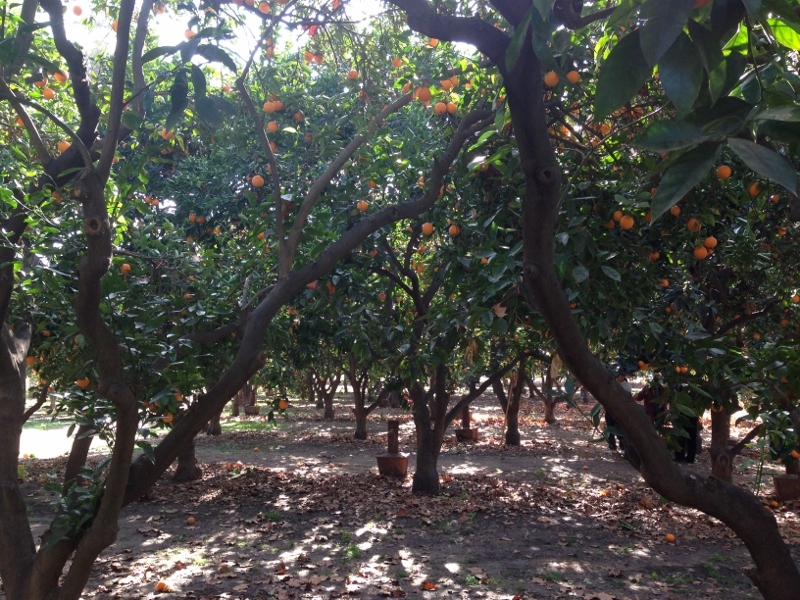 So I grabbed my good friend and we headed to Heritage Park to pick oranges and tour the estate. 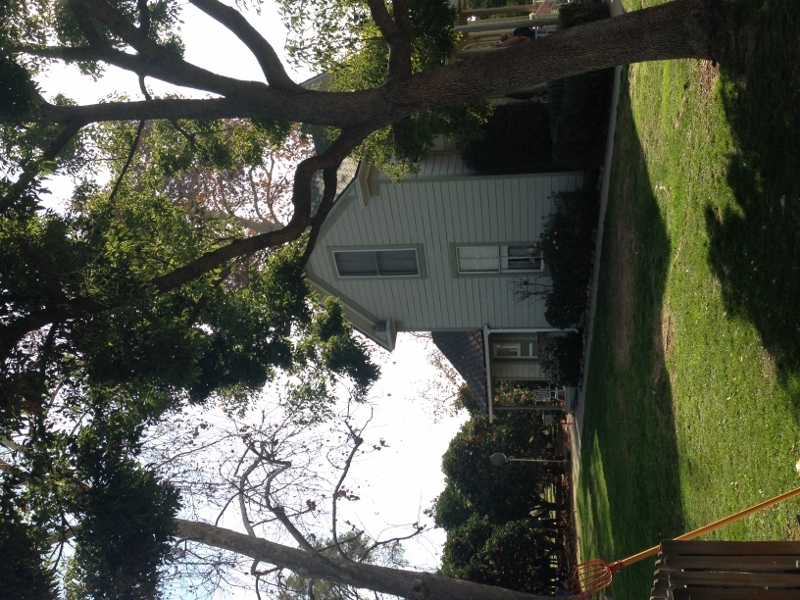 Heritage park is home to The Weber House, a historic home dating to the 1880’s. 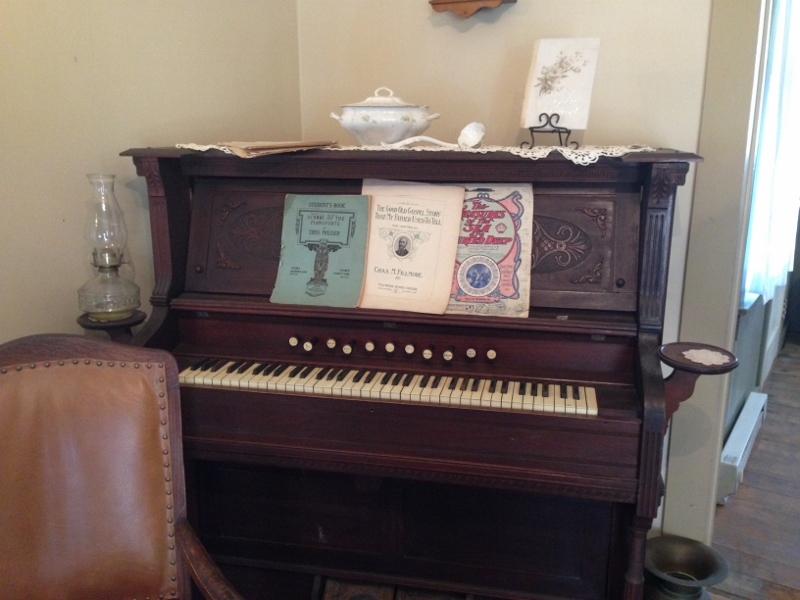 The Weber House is open for tours so we decided to check it out. 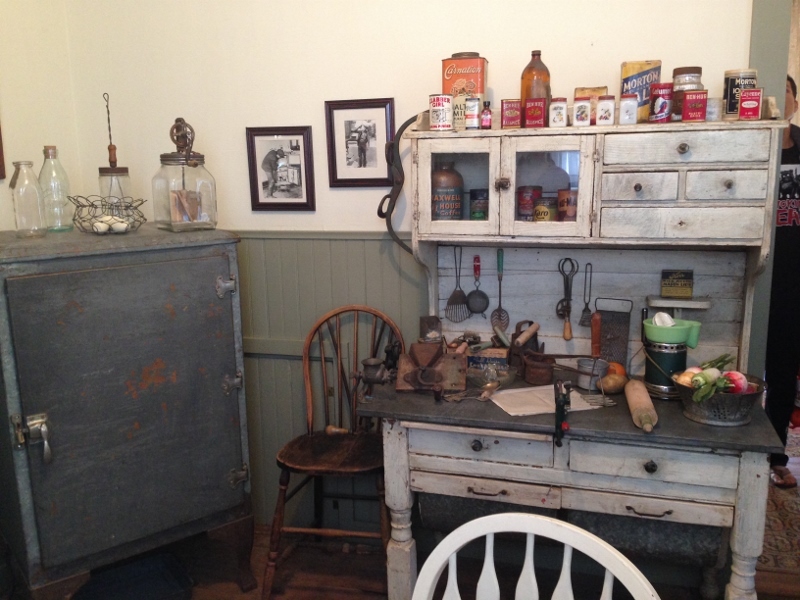 It’s a modest home that’s a perfect example of life in Victorian times. 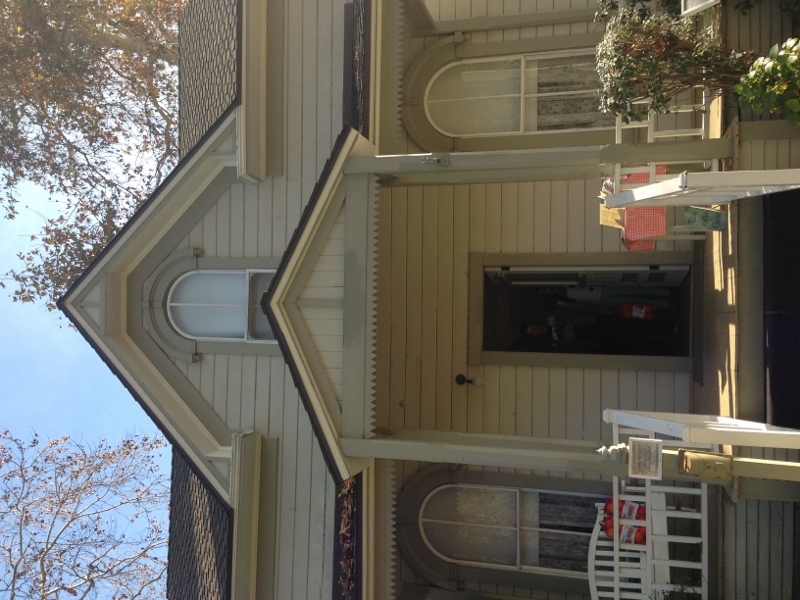 Our tour was led by a kind, enthusiastic docent who taught us all about the history of the home and described thoroughly the contents within. 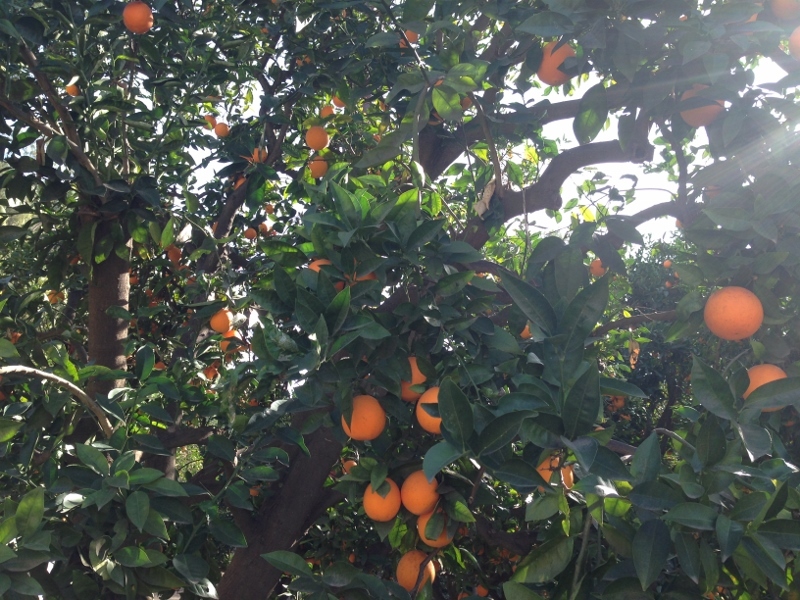 It was a lovely trip to the past and a fun prelude to our next task – orange picking. 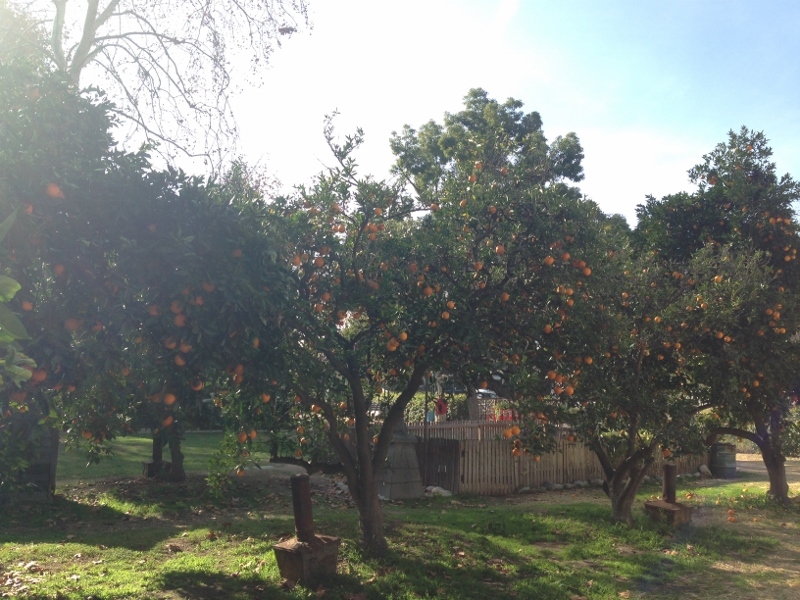 The house is surrounded by an orange grove and for $5 you can fill a bag with the fruit. 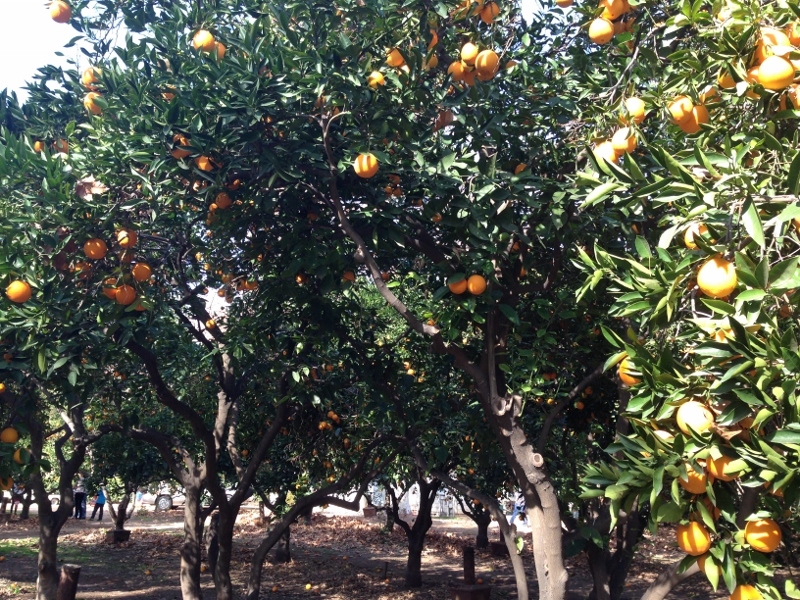 The grove offers various varieties of oranges and grapefruits. Cherry pickers are offered if you want to try for the higher fruit. 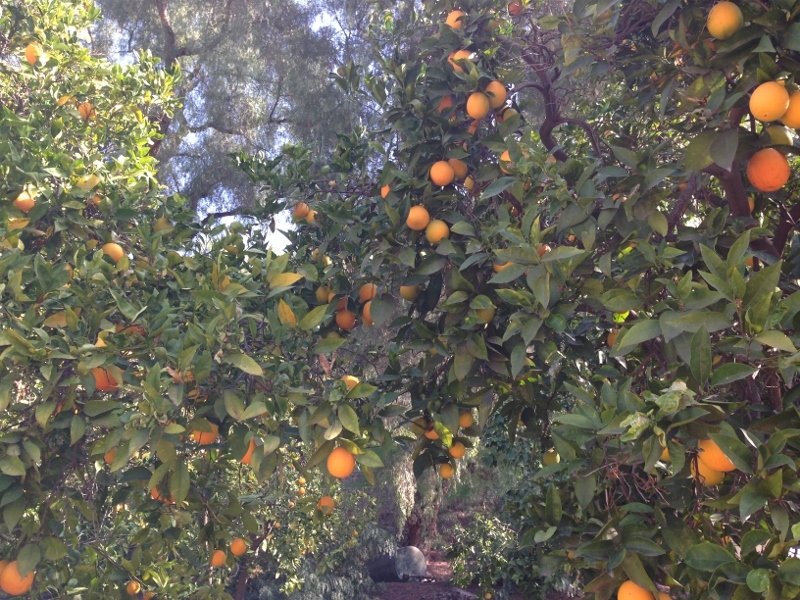 I gave it a try but it just showed how much of a city folk I was so I opted to collect my oranges from the lower branches. Since it was opening day, there was plenty to choose from. Isn’t it beautiful? And to think I took these pictures on the 4th day of January. It was a true reminder of how lucky I am to live in Southern California and how truly lovely it is here. 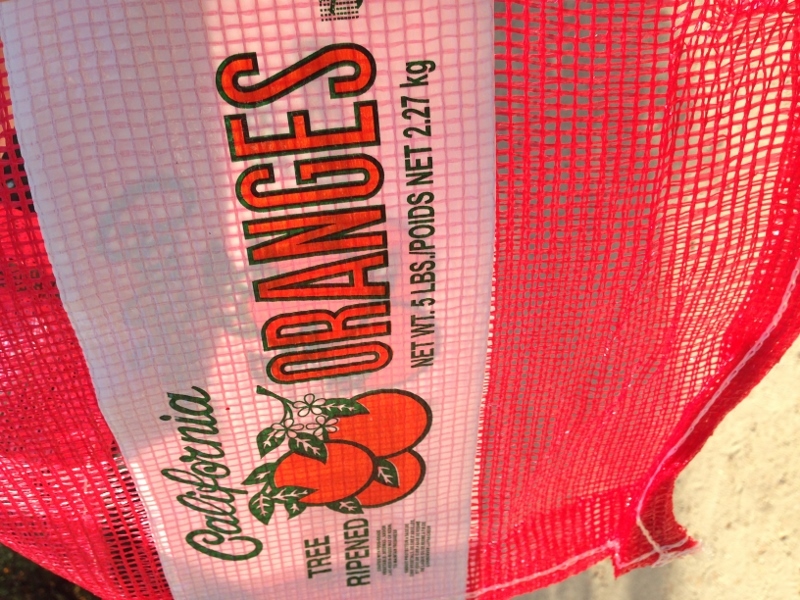 Orange picking in La Verne runs through March.